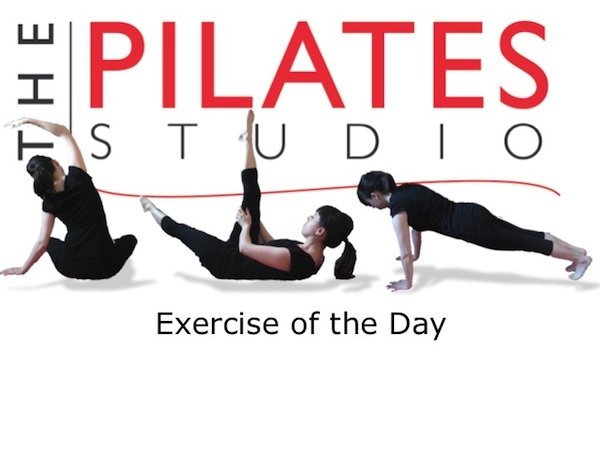 This exercise is the second exercise in Joseph Pilates classic abdominal series. In this exercise the legs and arms move together while the deep abdominals are keeping the spine stabile. To do this exercise you will need a mat. Start by lying on your back and then hug your knees to your chest with your hands. Inhale to prepare and then exhale as you narrow your ribcage, press the ribcage to the ground and lift your head, neck, and shoulders. Then inhale as you lengthen your hands and legs away from the center, and exhale as you hollow the abdominals and circle your arms to the outside and bend your knees. Repeat this movement 8-10 times. If you have osteoporosis you can do this exercise without lifting your head, neck, and shoulders. This will increase amount of stress on the abdominals so be sure to adjust the height of the legs and arms accordingly. As you are lengthening your arms and legs away from the center you are in charge of how hard your abdominals must work. If you lengthen the arms and the legs away from the center so that they are inches away from the floor your deep abdominals will need to be much stronger to avoid the recruitment of more superficial muscles. If this is your first exposure to the exercise try first reaching the arms and the legs to the ceiling, to make sure that your are finding the deeper abdominals and keeping the back safe.